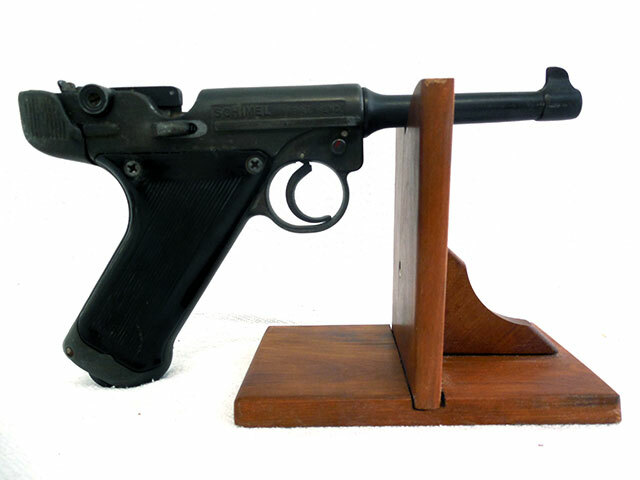 The Schimel was the first airgun to use a separate C02 cartridge for propulsion. It was made by Orville Schimel starting about 1952. The small company went bankrupt in 1955. The gun was produced until 1958 by the AC Swanson Co. 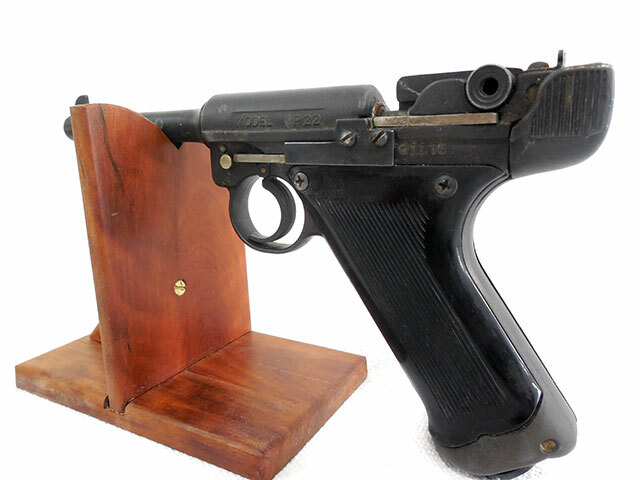 The action of this air pistol is very much like the famous German Luger. 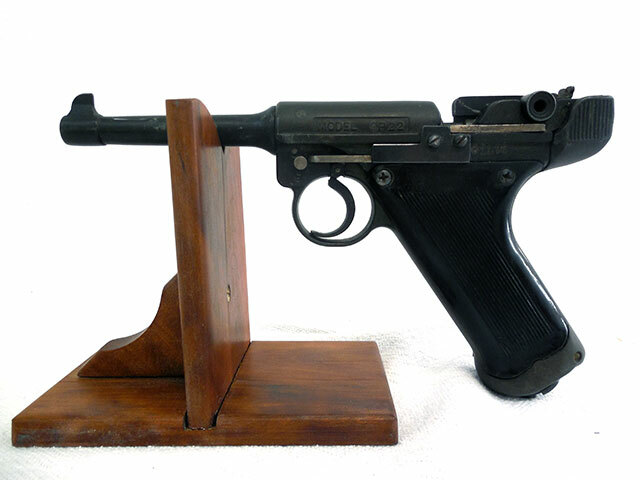 The toggle bolt works very much like the original Luger. 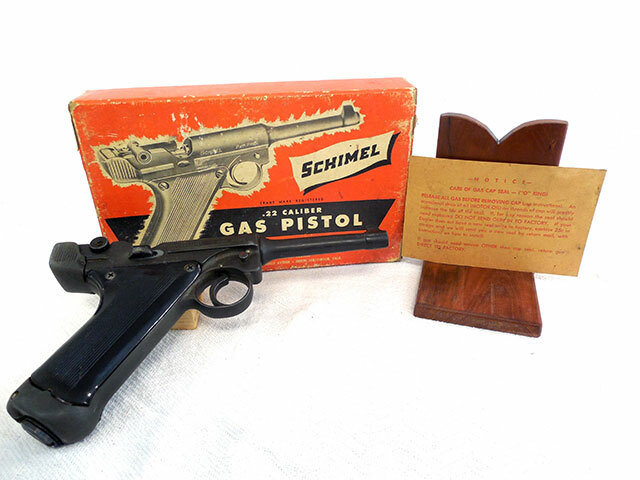 The Schimel is made from solid metal and is close to weight of the real thing. This one appears to be complete but does not hold air. We do not repair this model. Sold as a collectors item only.